Winter is definitely upon us and so is winter driving. 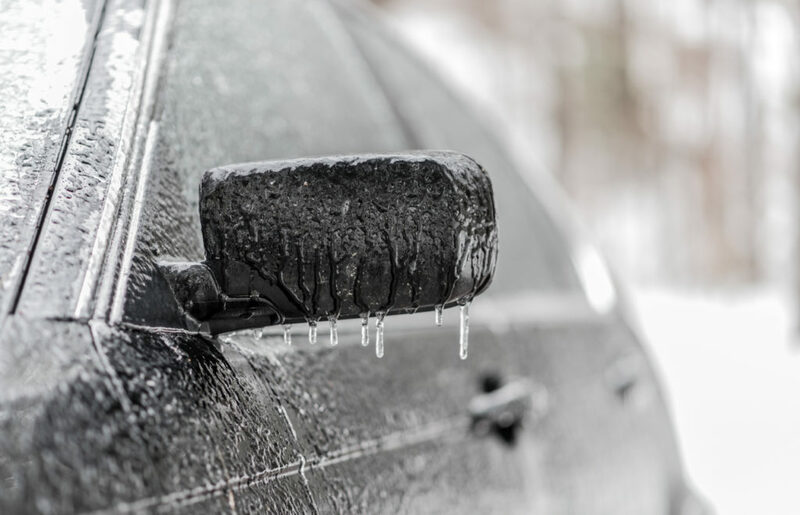 When the temperature drops, Michiganders can experience a variety of precipitation including snow, sleet and freezing rain – freezing rain being the most dangerous and life threatening form of precipitation for drivers. What are the Differences Between Snow, Sleet and Freezing Rain? When precipitation forms in an atmosphere below freezing, snow occurs. But if a wedge of warm air comes through the midlevels of the atmosphere, precipitation will be in the form of sleet. The precipitation starts as snow, melts as it passes through the warm air, then, as it passes though freezing air again, ice pellets form before they hit the ground. Freezing rain is a little different. It begins forming similar to sleet, starting out as snowflakes and then melting in the warmer air. However there is a larger wedge of warm air in the atmosphere, and not enough cold air to form the ice pellets we see with sleet. Instead, raindrops come in contact with the cold ground and immediately turn to ice, making driving a challenge to say the least. What’s the best advice for driving in freezing rain? Don’t. Postpone your travels. You should treat freezing rain with the same level of concern as tornado weather. Remember there are no snow tires that are equipped for this type of ice and you will find it difficult or nearly impossible to correct a slide. But what happens when an ice storm begins during your commute? First and foremost, try to stay calm, as anxiety may cause you to overcorrect or jerk the wheel, only making matters worse. Basically try to do as little as possible. Don’t brake and de-accelerate. In these types of conditions, hopefully everyone else around you will be doing the same and going slow. This way, if a crash occurs there will likely be less of an impact. One way you can avoid traveling in freezing rain is to know how to identify it. Also, if you see any ice forming on street signs, tree branches or on your vehicle, this is a good indicator that ice is sticking to the pavement as well. If you can stay off the road until the ice melts, that would be best to protect you and your vehicle. Help! I Need Auto Body Repair in Macomb County. Have you been involved in a auto accident as a result of Michigan’s harsh weather conditions? Contact a body shop in Macomb County you can rely on. For over 29 years, vehicle owners have trusted Pole Position Auto Body with their collision repairs. We have a proven track record of producing high quality repairs – almost 3 days quicker than the average repair facility.